The Apostle John has revealed that Jesus is the Eternal Word, Light and Life. John the Baptist witnessed that Jesus is the true Light, the fullness of grace and truth, so this truth has been established by two witnesses. God said in His Word that every Word must be established by two or three witnesses. (Dt. 17:6; 19:15; Mt. 18:16) God will not act contrary to His Word. Now John the Baptist reveals that Jesus is “the Lamb of God who takes away the sin of the world.” John 1:29 According to the Law, a lamb was to be offered morning and evening for the sins of Israel, but John the Baptist will introduce to those present the Eternal Lamb of God. The earthly lamb offered by the Israelites according to the Law was not eternal and could not give eternal life. These lambs had to be offered twice daily, but Jesus was offered once for all. His sacrifice need not be repeated. He is the Eternal once-for-all Sacrifice. “For you know that it was not with perishable things such as silver and gold that you were redeemed from the empty way of life handed down to you from your forefathers, but with the precious blood of Christ, a lamb without blemish or defect. He was chosen before the creation of the world, but was revealed in these last times for your sake.” 1 Peter 1:18-19 The forefathers of the Jews were sinners just like you and me. Silver and gold can’t save us and do away with sin. The Golden One – Jesus – with the silver of His atoning death on the cross can save us from eternal death and redeem us. As opulent as Solomon’s temple of God was, it couldn’t take away sin forever. It was merely a foreshadowing of the True Temple of God not made by human hands but by the Hand of God -- Jesus. John the Baptist says in John 1:30, “After me comes a Man.” John at this point didn’t know who this “Man” was going to be. God gave John the Baptist a sign that the One that the Holy Dove rested upon would be the Man. This is no ordinary Man! John said, “I did not know Him.” John did know Jesus as his cousin in the flesh, but he did not know Jesus as the Son of God until God revealed Him to John the Baptist. John tells those present that Jesus “has surpassed me because He was before me.” John the Baptist was born before Jesus in the natural, and also died before Jesus. But in the spiritual, Jesus was before John the Baptist as the Creator of the universe before time began. The Lord has revealed to John the Baptist the Jesus is the hope of Israel for whom the Jews were awaiting. Let’s take a look at the first mention of “lamb” in scripture. The first mention of lamb in scripture was when father Abraham took his promised, spiritual son Isaac up on a mountain to be sacrificed as a burnt offering for atonement of sin. In willing love and obedience, both the father and the son obeyed God’s instruction. The father and son and this act of sacrificial love is a picture of God the Father eventually offering up His One and Only Son as the atonement sacrifice. 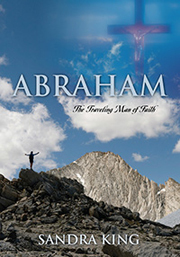 God asked Abraham and Isaac to do what He Himself will eventually do through His own Son. Five is the number of grace. God was painting a picture of His love and grace through His chosen and Only Begotten Son. Jesus was a lamb led to the slaughter who willingly allowed Himself to be bound on the cross and die in the flesh to show God’s eternal love and grace for all of humanity. He alone is worthy of worship. God declared the end out of the beginning. “I make known the end from the beginning, from ancient times, what is still to come.” Isaiah 46:10 The ancient sages believed in the “law of first mention.” The first mention of a word or number in scripture unlocks and opens the door to the fullness of truth that follows. It is the gateway to Divine Truth until it reaches its fulfillment in Jesus and in Revelation. The first mention is the seed that grows fuller in its revelation until all is fulfilled and restored to newness and holiness again in the end. Within the first mention seed is subsequent truth. The seed of all Divine Truth is in Genesis. The seed progressively grows, blooms and blossoms at maturity until the end meets the beginning. God reveals His Son Jesus in the same way in scripture. The Seed Jesus is hidden in the Older Testament, blossoms in the New in His flesh body and is revealed in all of His glory and fullness in Revelation. The lamb of the Older Testament burnt offering had to be brought to the temple by the father of the household. The father had to slaughter the lamb shedding its blood. Then the Israelite head of household had to lay his hand upon the head of the lamb he was offering and confess his sin and that of his household. This innocent animal stood in the sinner’s place. This too was fulfilled by Christ. He took the sin of the world upon Himself to make atonement for sin. He became our substitute, just as the earthly lamb became the substitute of every Israelite household. We are accepted by the Father because of Jesus’ finished work on the cross. We become a burnt offering to God when we allow the fire of the Holy Spirit to cleanse our inner man making us new creations.